http://agustinmgomez.com/?x=comparison-viagra I am a few days late in getting this post written, but we have exciting news at the Gehring house. Thursday was Emma’s last infusion of Vincristine for this chemotherapy regimen, which means she has officially finished this the chemotherapy regimen! She is very excited and has been telling her friends, teachers and nurses that this is her last chemo! http://junkyardangel.net/?x=metoprolol-drug-interactions-viagra It almost seems a bit surreal that we actually made it to the end of treatment. There were many times over the last three and a half years that it seemed like we would never find a treatment that worked and certainly would never make it to the end of treatment. It has been a long three years and we praise God that Emma was able to complete this entire protocol and has so far had stable results while on it. source url Many people have asked what this means for Emma, what now?? Since she has completely finished the TPCV regimen and has been stable while on it, we now wait. We will scan again at the end of June and see how scans look. If her scans continue to stay stable, Emma will be able to stay off of treatment. We will continue to scan every three months to look for changes, but as long as things stay stable she should be able to stay off treatment. When we ask the doctors what they predict will happen, they tell us each patient and each tumor reacts differently so there is no for sure amount of time to be off of treatment. They tell us that some kids get a few months of stability, others get a year, some get 2 years, some get 5 years, and others have even made it 10 years. There is no way to know how long it will hold Emma’s tumor stable. 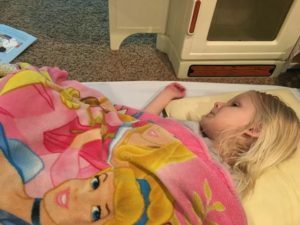 They hope that the treatment has been effective enough that Emma will be able to get at least a year or two of stability with no treatment; however only time will tell. So as much as we would like to celebrate this as the end of treatment, it is most likely a break from treatment. Being done with treatment doesn’t change the everyday battles or the side effects that the tumor and surgeries have left. Emma still has many obstacles to over come. 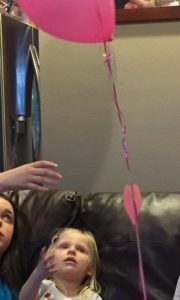 She still has to fight to each day to improve at walking, talking, and learning things that other kids just naturally learn. 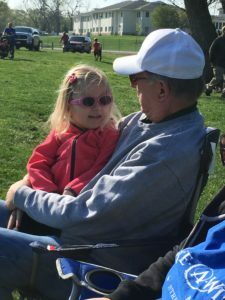 We will still have plenty of therapy appointments and doctor’s appointments to continue to help her make progress. That being said, we are extremely thankful for this break and are going to enjoy every day of being off treatment to the fullest. If we have learned anything the last three years, it is that you have to enjoy everyday and be thankful for every good day that God gives us! drugs like viagra If Pulmonology has taught Emma anything it is that two stethoscopes is definitely better than one. ranolazine drug contraindications with viagra As parents the thought of finishing treatment has caused a mix of emotions for us this week. While you would think it bring feelings of nothing but joy, it actually has caused a whole mix of emotions. We are of course so very excited for Emma to finally get to a place where she can have a break from treatment. She has endured more than any child should have to over the last three years. 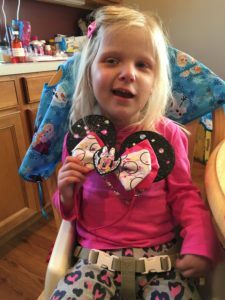 She doesn’t remember a time in her life when she wasn’t on treatment, and we are just so thankful that she will now have a chance to feel “normal” for at least awhile. After enduring all of the side effects (and often with a smile on her face) she can finally just feel good, we hope. With Emma not knowing what normal is like and being so young we often didn’t know what side effects were bothering her and how bad it really was for her. We are just elated for Emma to finally enjoy living a bit more normal life. canadian viagra uk purchase Sometimes Emma will scoot herself to bed early at daycare. Her amazing friends will even tuck her in. http://kaufmanroslyn.com/?x=how-to-buy-viagra-tablets While you would think the happiness and joy would be the only thing we are feeling now, it is actually very scary too. 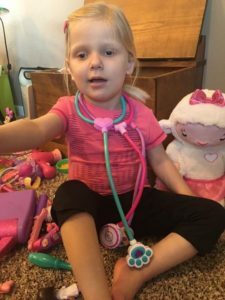 Emma has been on treatment since this journey started. We have always been doing something to stop the growth. It is extremely scary to think we are just going to sit and wait and do nothing now, and hope that this treatment has worked. It is even scarier when you think that this tumor grew a lot while on treatment, so what will it do now with no treatment. The last three years have been a test a faith, and now our faith will be tested in a new way. We have to find faith that the treatment we have done, will do what it is supposed to and that it will hold her tumor stable. It is still hard to wait and not do anything. It causes a new anxious feeling in your stomach, one we have not yet had to deal with. Like other tests of faith, we will continue to pray that the decisions we have made will be what was needed for Emma to stay off treatment for awhile. viagra drug side effects It is also hard to imagine that we won’t have to go to clinic every week or every other week anymore. We have been going to oncology and infusion at least every other week, sometimes more often for three years now. The nurses and doctors have become like family. They have been with us for every step of this battle, and they are amazing. They have taught us all we know about chemo, counts, and side effects, and most of all they have loved Emma and taken amazing care of her on some very hard days. We are so very thankful for all they have done for Emma and our family. It seems strange that we won’t be there for hours every other week anymore, but we are most certainly thankful for each and every one of them and all they have done for Emma. If you have any question about how awesome these people truly are, they put up with Brent for 8-10 hours at a time without blinking an eye. 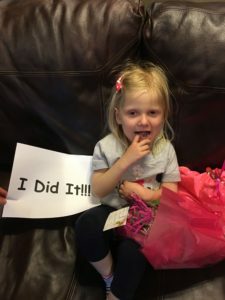 best price viagra without rx Emma was so excited to get balloons and flowers from her loving Paras at school and even flowers from the neighbors celebrating her “last” chemo. The emotion that exceeds all of the others though is thankfulness. Reaching the end of this treatment has caused us to really stop and reflect on the last three years. We are thankful beyond words that our prayers to finally find a treatment that works (for at least a little bit) have been answered. There were many times the last three years, we didn’t think we would get to this point, and we are so thankful that she has reached the end of a treatment and can enjoy some time off. We are thankful for all of the doctors, nurses and therapists who have fought to get Emma where she is today. There really aren’t words to explain how thankful we are to everyone: friends, family, and those who follow Emma’s story that we have never met for all of their prayers and never-ending support. We could not have gotten here if it wasn’t for the amazing support, love and prayers that have been given to us. It is those prayers that have kept us strong and has gotten Emma to the point where she can have a break from chemo. We are thankful beyond words for each and every one of you. Most of all though, we are thankful for our beautiful and strong little girl and one of the most loving brothers ever. Emma is truly a fighter and has shown us everyday for three years what it means to persevere and be strong. We are so proud of her. Somehow May has snuck up on us this year. May is brain tumor awareness month. Every year we like to do our part to help spread awareness for this awful disease. Emma’s story is only one of countless children who fight this disease each day. Since Emma started this journey three and a half years ago, we continue to meet more and more families battling for their children. Please join us in helping to spread awareness by wearing grey, sharing the story of a fighter, posting about the need for continued research on social media. Our kids need our help to find a cure. So many of you join us in that fight each year, and we are very thankful for that. Thank you for going “Grey in May” with us! Of course Emma had to have a little sign for the “last” chemo day. Finally, many of you know that we host the EmmaStrong Drive for a Cure each year to help raise funding to find a cure for pediatric brain tumors. This year’s golf tournament is set for Saturday, June 25th at Eagle Hills Golf Course in Papillion, NE. We are currently talking registrations for golfers and would love to see you there. It is a fun filled day of golf and raising money for a great cause. If you are interested in registering a team to golf please go to www.emmastrong.com/golf for online registration forms. We are also looking for tournament sponsors, hole sponsors, volunteers for the event, and donations for the silent auction. If you are interested in helping with any of these areas please see the link above or contact us at iamemmastrong@gmail.com. We have already had several people volunteer to help us, and we will be in contact with you closer to the tournament. We can’t thank you all enough for your help and support because this tournament wouldn’t be possible without you!